Washington, DC — In its 2014 edition, The Legal 500 US ranks seven Wiley Rein practices among the best in the country. For the eighth consecutive year, Wiley Rein’s Telecommunications Practice was placed in the prestigious top tier for regulatory work. The firm’s Bankruptcy & Financial Restructuring, Copyright, Insurance, and International Trade groups once again earned national rankings. 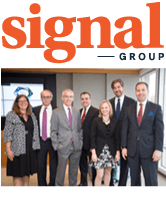 The legal directory once again names “universally respected” firm Chairman Richard E. Wiley and Telecommunications Group chair R. Michael Senkowski as “Leading Lawyers” in Telecoms and Broadcast: Regulatory. Additionally, Mr. Wiley and Mr. Senkowski are recommended nationally for Telecoms and Broadcast: Transactional.